From the evolutionist point of view, the point of marriage is the production of children. Let’s quickly analogize to food. Humans have a tremendous variety of customs, habits, traditions, and taboos surrounding foods. Foods enjoyed in one culture, like pork, crickets, and dog, are regarded as disgusting, immoral, or forbidden in another. Cheese is, at heart, rotten vomit–the enzyme used to make cheese coagulate is actually extracted from a calf’s stomach lining–and yet the average American eats it eagerly. Food can remind you of your childhood, the best day of your life, the worst day of your life. It can comfort the sick and the mourning, and it accompanies our biggest celebrations of life. Eh, I’d be happy giving him a microstate and seeing how he does running it. We eat comfort food, holiday food, even sacrificial food. We have decadent luxuries and everyday staples. Some people, like vegans and ascetics, avoid large classes of food generally eaten by their own society for moral reasons. People enjoy soda because it has water and calories, but some of us purposefully trick our taste buds by drinking Diet Coke, which delivers the sensation of drinking calories without the calories themselves. We enjoy the taste of calories even when we don’t need any more. But the evolutionary purpose of eating is to get enough calories and nutrients to survive. 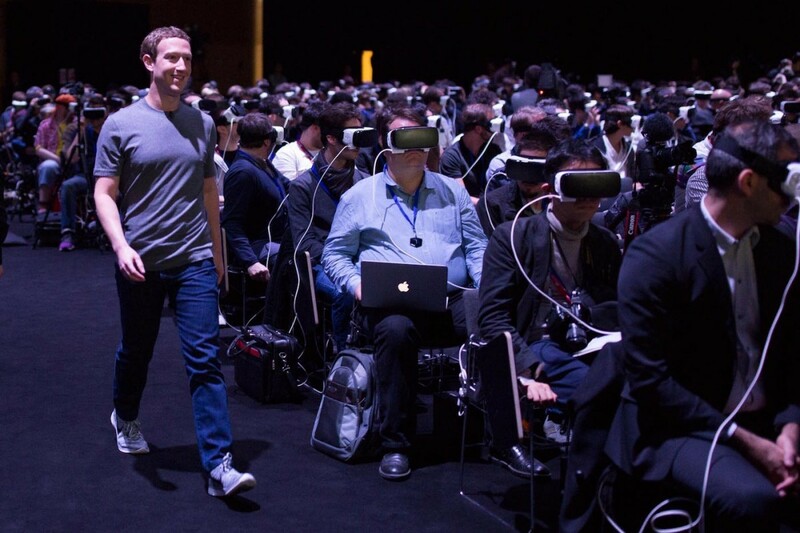 If tomorrow we all stopped needing to eat–say, we were all hooked into a Matrix-style click-farm in which all nutrients were delivered automatically via IV–all of the symbolic and emotional content attached to food would wither away. 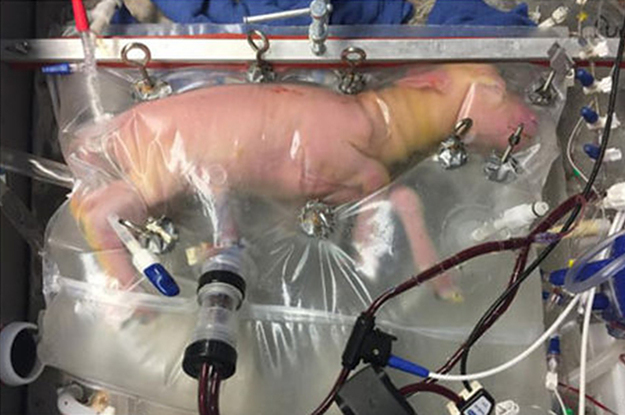 The extended helplessness of human infants is unique in the animal kingdom. Even elephants, who gestate for an incredible two years and become mature at 18, can stand and begin walking around shortly after birth. Baby elephants are not raised solely by their mothers, as baby rats are, but by an entire herd of related female elephants. But from the evolutionist point of view, the point of elephants’ family systems is still the production of elephant children. Love is a wonderful, sweet, many-splendored thing, but the purpose of marriage, in all its myriad forms–polygamy, monogamy, polyandry, serial monogamy–is still the production of children. Despite the long public argument over the validity of gay marriage, very few gay people actually want to get married. Gallop reports that after the Obergefell v. Hodges ruling, the percent of married gay people jumped quickly from 7.9% to 9.5%, but then leveled off, rising to only 9.6% by June 2016. In contrast, 46% of US adults are married. 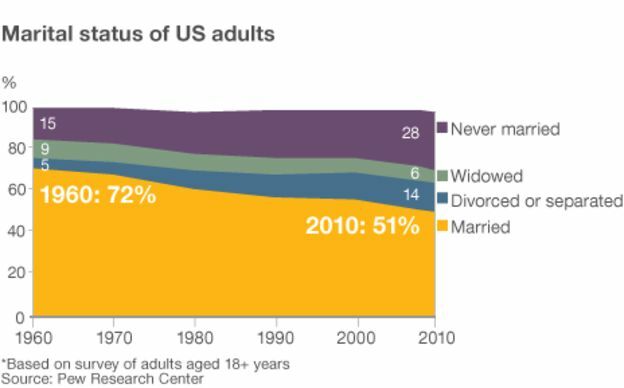 Even this number, though, is in sharp decline: in 1960, 72% of adults were married; by 2010, only 51% were. The situation is similar throughout the Western world. Only 51% of Brits are married. In Italy, the crude marriage rate (the number of new marriages per 1,000 people), has fallen from 7.35 in 1970 to only 4.21 in 2007. Only 58.9% of Japanese are married. Graph showing children per woman rate over the years 1960 – 2009 in USA, China, India, Germany, Russia population rates. 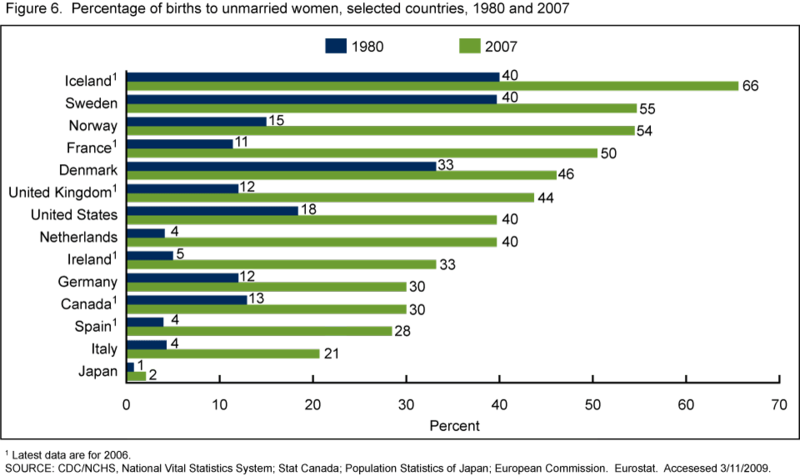 Only 2% of [Japanese] births occur outside of marriage (compared to 30-60% in Europe and North America) due to social taboos, legal pressure, and financial hurdles. Half of Japan’s single mothers live below the poverty line, among the highest for OECD countries. Between 1990 and 2010, the percentage of 50-year-old people who had never married roughly quadrupled for men to 20.1% and doubled for women to 10.6%. The Welfare Ministry predicts these numbers to rise to 29% of men and 19.2% of women by 2035. The government’s population institute estimated in 2014 that women in their early 20s had a one-in-four chance of never marrying, and a two-in-five chance of remaining childless. Recent media coverage has sensationalized surveys from the Japan Family Planning Association and the Cabinet Office that show a declining interest in dating and sexual relationships among young people, especially among men. However, changes in sexuality and fertility are more likely an outcome of the decline in family formation than its cause. Since the usual purpose of dating in Japan is marriage, the reluctance to marry often translates to a reluctance to engage in more casual relationships. In other words, marriage is functionally about providing a supportive way of raising children. In a society where birth control does not exist, children born out of wedlock tend not to survive, and people can easily get jobs to support their families, people tended to get married and have children. In a society where people do not want children, cannot afford them, are purposefully delaying childbearing as long as possible, or have found ways to provide for them without getting married, people simply see no need for marriage. “Marriage” ceases to mean what it once did, reserved for old-fashioned romantics and the few lucky enough to afford it. Mass acceptance of gay marriage did change how people think of marriage, but it’s downstream from what the massive, societal-wide decrease in child-bearing and increase in illegitimacy have done to our ideas about marriage.